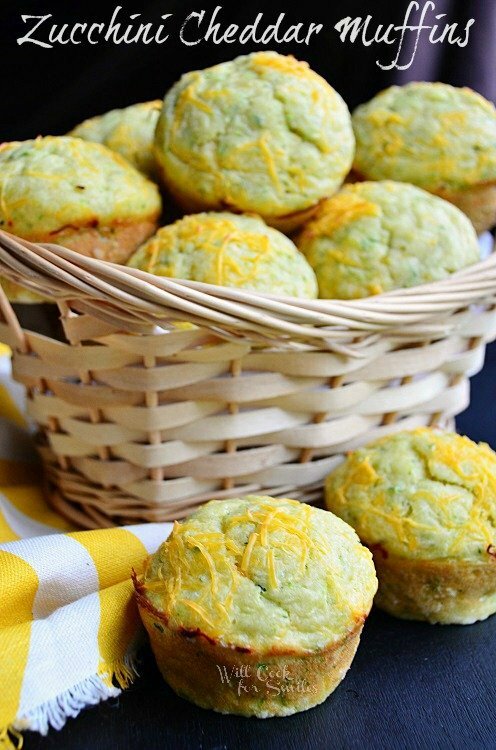 Amazing savory muffins perfect for 0n-the-go breakfast or snack anytime! 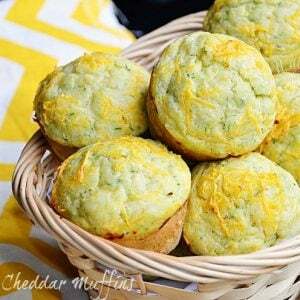 These Zucchini Cheddar Muffins are so soft, moist and flavorful. 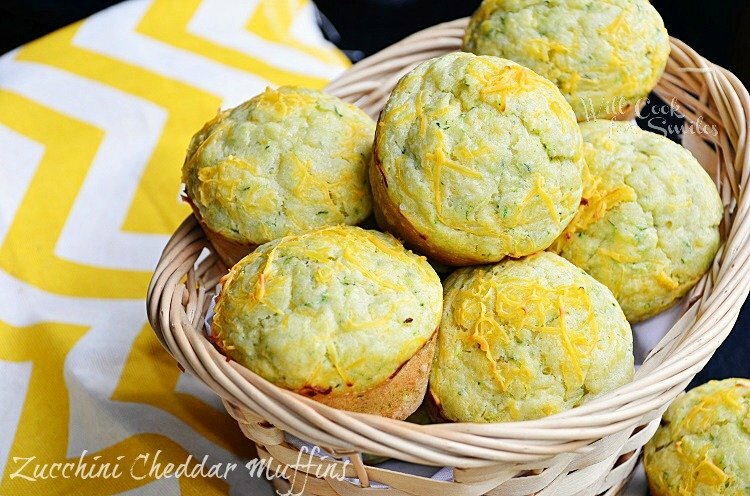 They are made with fresh zucchini and extra sharp cheddar for full flavor. Ok, better. Got one of these muffins and a cup of coffee! Yay, I feel better. 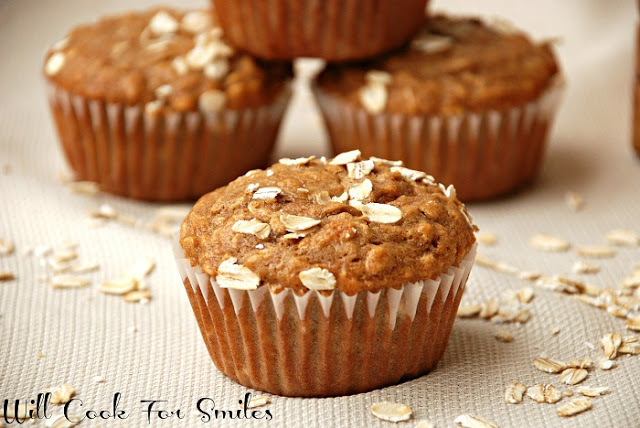 I love making muffins during the school year because they make such a great and easy breakfast or a snack. I also pack one in the little man’s lunch box for a delicious and filling snack. Hubby likes to grab one as he is running out of the door to got to work. He never has time for breakfast. Now, I’m alone and curled up on a couch with a textbook. “Boo” for textbook but “yay” for a yummy breakfast. It’s so quiet in here, I love it. I miss my little boy like crazy, but I enjoy the quiet. Zucchini muffins would have to be my favorite. I get to sneak in veggies and mask it in a muffin. Both boys fall for it every time! It’s like my homemade spaghetti sauce (Oooo, I’ve got to share it with you,) it’s full of hidden veggies but they polish it off in a flash! The little man is getting pickier and pickier by the day. He is still better at eating veggies than a his dad but but he is still very picky. I remember the days when he would try anything and eat just about anything. Those days are long gone! He’s turned into a normal toddler. He still loves muffins and cookies though! Gotcha! In a large mixing bowl, combine flours, salt, baking powder and baking soda. Mix and set aside. Whisk eggs, oil and sour cream together. Add to the dry ingredients and whisk until just incorporated. 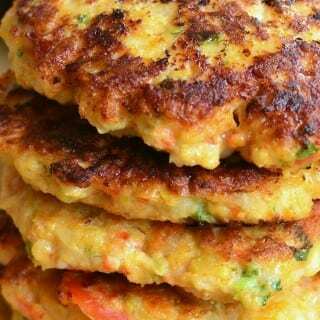 Add shredded zucchini and mix well. Add 2 oz of shredded cheese and whisk until all evenly combined. 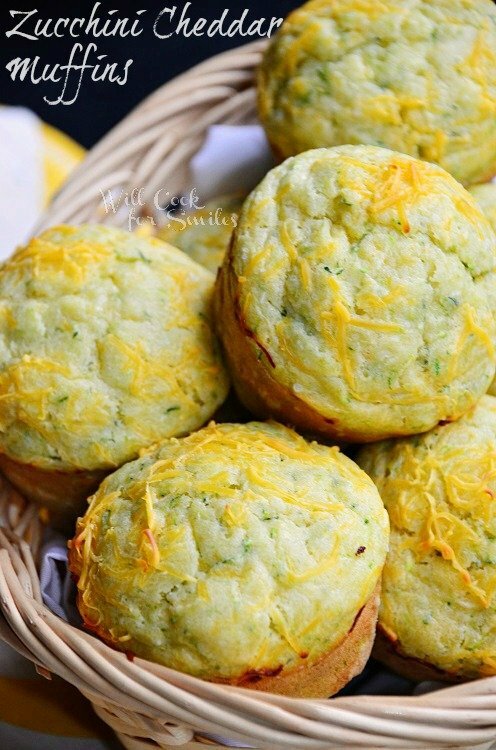 Divide the batter between the muffin cups and sprinkle with remaining shredded cheese. Great shots, wonderful color and yummy muffins! 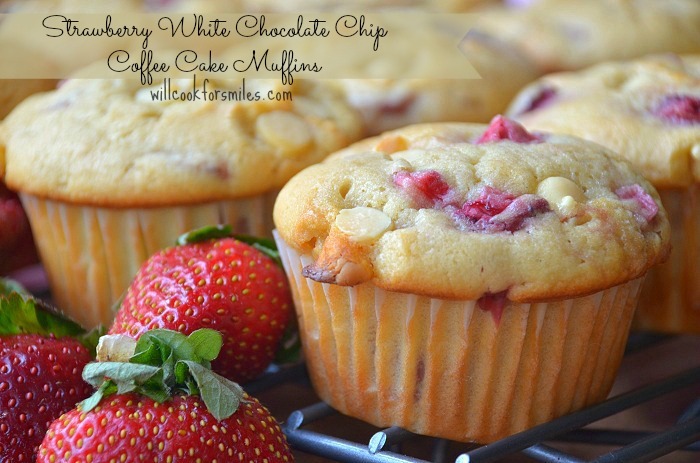 Love this idea for a more savory muffin! I’ve maxed out on zucchini recipes so I’m glad to find something new! I always think of zucchini bread as sweet but what a great savory treat! I bet they were delicious! They really were! Thank you, Erin! Oh wow – these are calling my name, girl! Cheese?? Thanks as always for sharing at our “Best Of The Weekend Party”! Pinning all to our party board and to another big board as well! I’m always looking for a healthy alternative to sandwiches for my daughter’s lunchbox. Thx for sharing this idea! 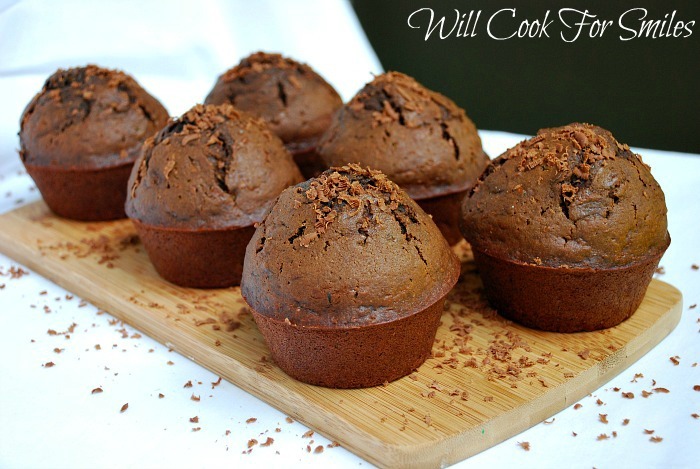 Hi, these muffins look amazing. 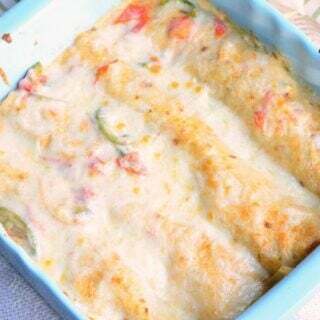 I pinned the recipe and I saw it on made by you monday. These look amazing! And your pictures are always so fantastic! 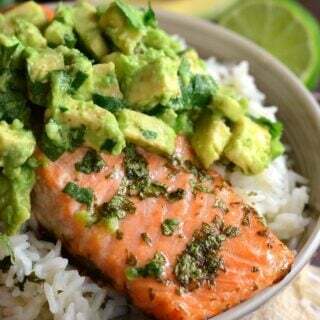 It makes me want one right now! Totally not looking forward to the day my daughter decides she doesn’t like all the good for you stuff like her Dad!!! This look like a great way to sneak some veggies in! 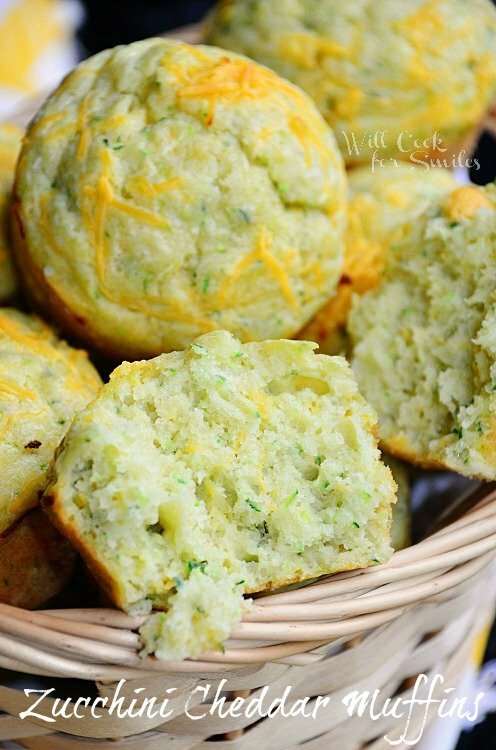 Your cheddar zucchini muffins look great! 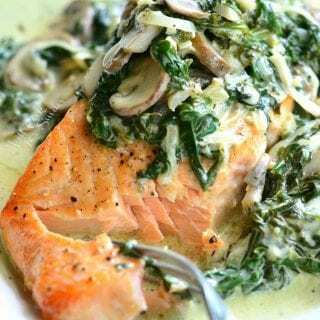 I need to make some tonight to have with the soup I’ve got in my crock pot! I’m currently hosting an awesome spice giveaway along with a “preserving the summer” recipe link party and I’d love for you to stop by and share this great recipe! 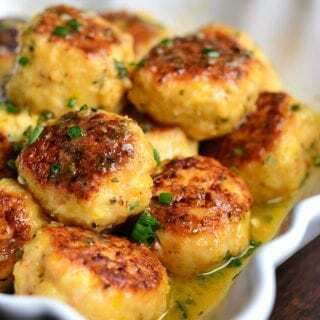 Great recipe – these look delicious!! Yes, yes, yes! I want to eat these!!! These look fantastic! I wish I had one right now! Mmmm…I LOVE savory muffins. These look awesome, Lyuba! 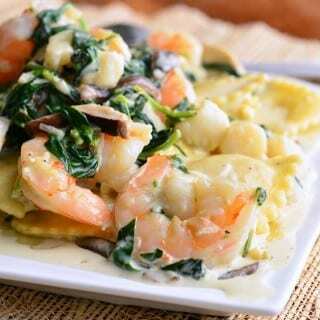 Great way to use zucchini! Yum! Looks great, I can’t wait to try them. Do you squeeze out the extra water from the Zucchinis before put them in the batter? So sorry for a late response! I’m a little behind in emails 🙁 I did not squeeze out the water from zucchini! These were great and Im looking forward to making them again. I think next time I will add some herbs, spices or seasonings of some kind. I’m SO glad you liked them! Thank you so much, Chelsea.